If this is how many civilians the US Military admits to killing in Syria, how many really ended up as ‘collateral damage’? “To date, based on information available, [the coalition] assesses at least 801 civilians have been unintentionally killed by Coalition strikes since the start of Operation Inherent Resolve [in 2014],” Combined Joint Task Force Operation Inherent Resolve (CJTF–OIR) said in statement on Thursday. “We continue to hold ourselves accountable for actions that may have caused unintentional injury or death to civilians,” the report said. According to the document, US-led forces in Iraq and Syria conducted “a total of 28,198 strikes that included 56,976 separate engagements between August 2014 and October 2017… During this period, the total number of reports of possible civilian casualties was 1,790,” it added. 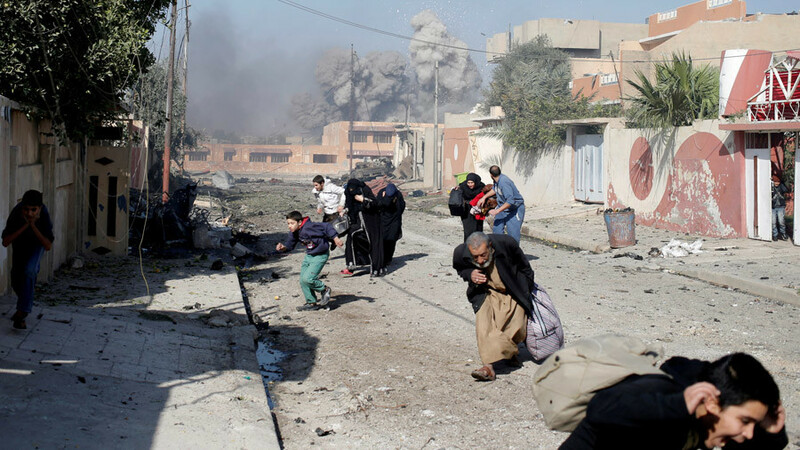 In June, Amnesty International released a report, criticizing the action of the US coalition in Mosul, Iraq. Dubbed “At any cost: the civilian catastrophe in west Mosul, Iraq,” the document says that, apart from IS attacks, civilians suffer from “relentless unlawful attacks by Iraqi government forces and members of the US-led coalition.” The report said that at least 5,805 civilians were killed by the US and Iraqi strikes. In September, Human Rights Watch, which also monitors US coalition actions, said strikes that killed civilians in Syria “instilled fear and pushed many to flee.” “Although ISIS fighters were also at these sites, the high civilian death toll raises concerns that military forces of the US-led coalition failed to take necessary precautions to avoid and minimize civilian casualties, a requirement under international humanitarian law,” HRW said.